Fei tourné hin ! " "CROQUE ET PUIS C TT"
HAHAHA TJR POSTER A CHATLET. 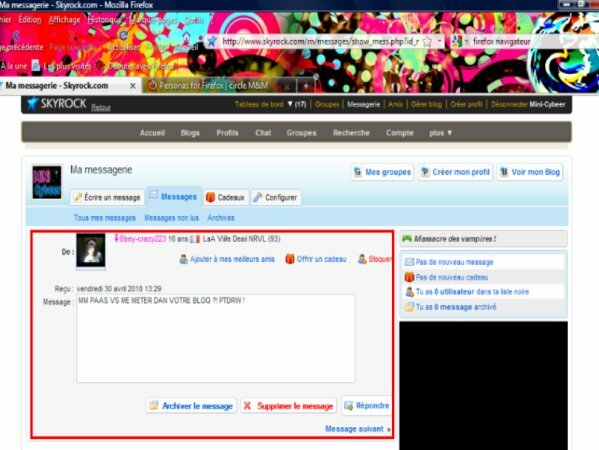 XLILIIZE A TELLEMENT LE SEUM D'UNE DE SES POTE QUELLE SE FAIT DES INFOS CYBER TOUTE SEUL ! DEPUIS QUE BBEEY CAWAMELISEEY ET ELLE SE PARLE PU ELLE DOIT SUCCER UNE AUTRE CYBER !